Earlier this year we teamed up with Lightwater Valley to give What’s On North East readers entry to the theme park for just £15 – and now they’ve generously extended the offer! It’s the start of the summer properly so there’s no better time to extend our offer, because what better place to spend a family day out on a beautiful day than Lightwater Valley? With over 40 rides and attractions for thrill seekers of all ages, you’d be hard pushed to find a better way to spend a long summer’s day! In June there’s also some exclusive events to add to the better-than-ever permanent attractions! On 3rd 4th June, make sure you assemble to see Superheroes Live! as they need your powers! Grab your best fancy dress costume and zoom down for a packed weekend filled with fun and entertainment featuring some stunning moves from all your favourite crime-fighting, super villain-busting heroes. For tinier tots, the park’s mini-adventures, featuring the world’s biggest Angry Birds Activity Park and the Eagle’s Creek Farm tractor ride with animals, will be a delight, but for anyone between 5-9, then you might want to upgrade to the mega adventures. Form the splashtastic Falls of Terror to the swashbuckling adventures of Skull Rock and the tummy-tickling Flying Cutlass, or bounce around on the huge Jumpin’ Jacks! But if you’re up to a real challenge then you’ll want to take on the ultimate adventure, where you’ll be thrown up into the air in the grip of the Eagle’s Claw, venture through the underground world of Raptor Attack and, of course, take the biggest thrill-ride of them all on Europe’s longest roller coaster, The Ultimate! What’s On North East have continued to team up with Lightwater Valley to bring you entry for just £15 until the end of June 2017 (saving up to 50% on their pay on the day price!) Simply book online at www.lightwatervalley.co.uk and use the promotional code WONE to grab up to 6 tickets for just £15 per person! 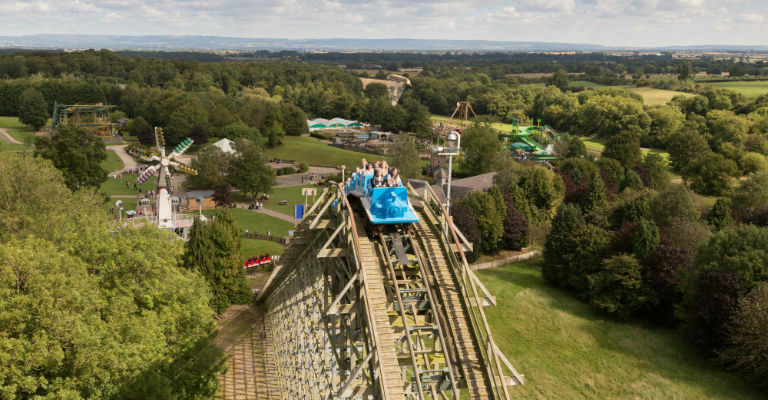 For more information on what Lightwater Valley has to offer, visit their official website.